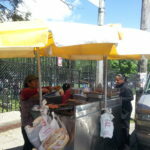 Food Cart Month continues! 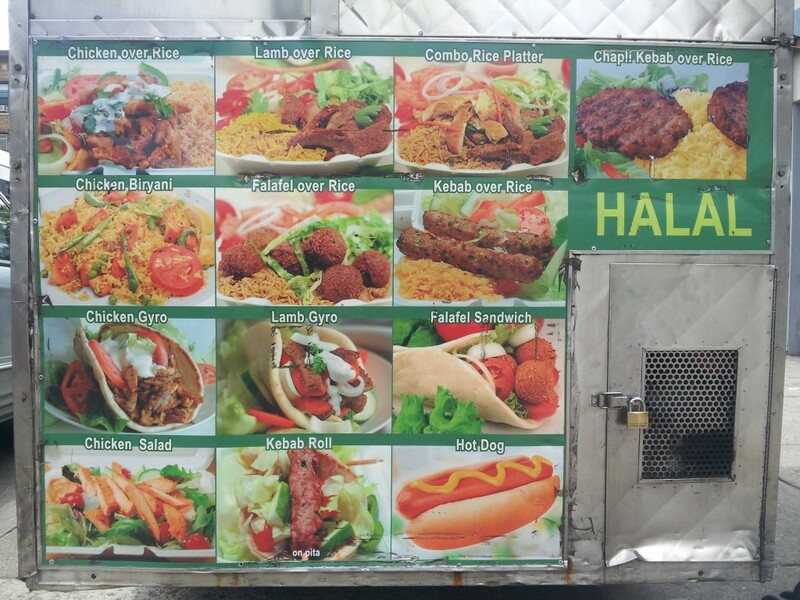 Today we checked out Bakhtar, the Afghan-owned halal cart in front of Rite Aid on Fresh Pond Road. The cart offers the same fare as its flagship Wyckoff Heights Hospital location: chicken over rice, pitas and gyros, falafel, biriyani, and, most uniquely, chapli and shami kebabs (flat minced-meat patties, the latter of which also contain chickpea or lentil flour). 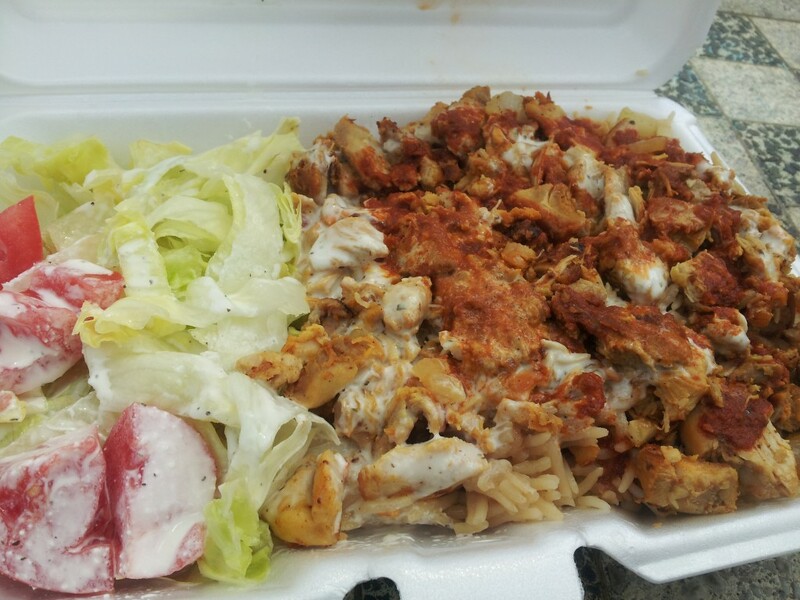 We ordered baseline-standard chicken and rice with white sauce, hot sauce, and fried onions (pictured at top). 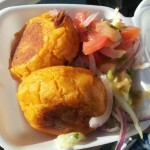 Note: we didn’t see the onions anywhere on our dish, but the guy said he added ’em. Bakhtar is comparable to your average Manhattan halal cart. The tender chicken, served on basmati rice, readily absorbed the hot sauce. We also liked the thin consistency of the white sauce because it seemed healthier than the thicker sauces you sometimes see. 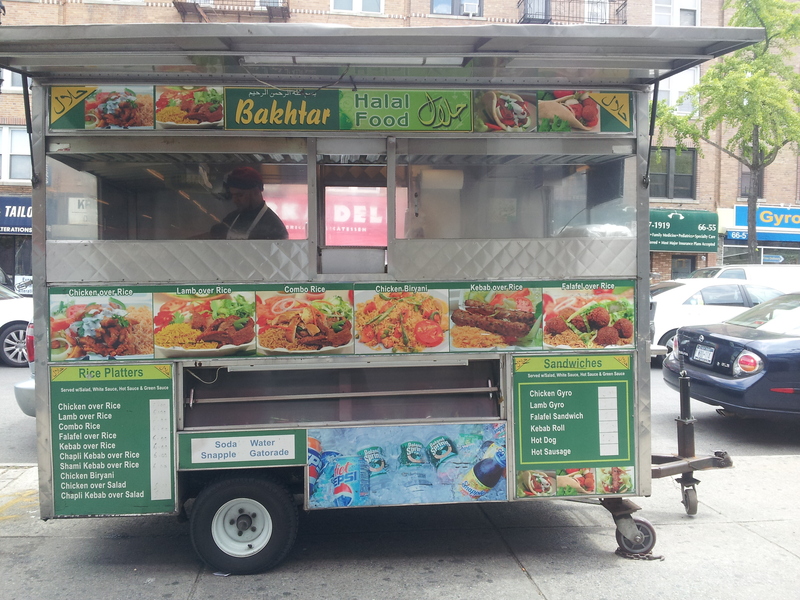 Bakhtar isn’t a destination cart (yet), but we’re glad a halal cart exists in Ridgewood (there used to be another one on Myrtle Ave in front of Torrid, a few blocks from Fancy Fruit, but it’s been gone for a couple months). Next time we’ll definitely try the kebabs and update this post. 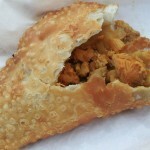 Also, if they want to expand the Indian offerings to include, say, kati rolls, that would be awesome.